Denise Scott Brown (int. FRIBA) is one of the world’s most pre-eminent architects and urbanists, and Principal of Venturi, Scott Brown and Associates in Philadelphia, the firm she cofounded with her husband, Robert Venturi. Recognised as a pioneer of the postmodern movement in architecture, she has won 48 awards, including the Vilcek Prize (2007), AIA Gold Medal (2016) and Jane Drew Prize (2017). Born in 1931 in Northern Rhodesia (now Zambia), Scott Brown studied architecture at the University of the Witwatersrand in South Africa, the Architectural Association School of Architecture (AA) in London, and the University of Pennsylvania in Philadelphia, where she completed masters degrees in City Planning (1960) and Architecture (1965). 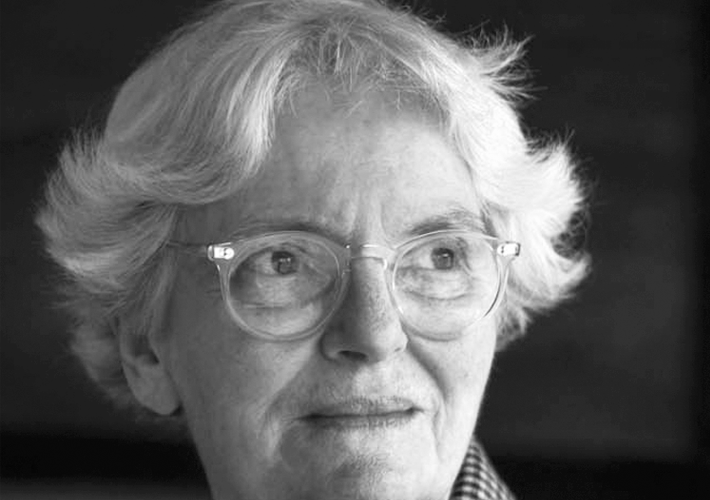 Known for her pioneering research and design in architecture, urban, and campus planning and design, she has led design teams for campus planning and major civic and academic building complexes, including the Sainsbury Wing of the British National Gallery in London, the Conseil General complex in Toulouse, Master Plans and recommendations for the Universities of Pennsylvania, Michigan, and Tsinghua, and design leadership for Penn’s Perelman Quad and Michigan’s Life Sciences complex. Her advocacy and inner city plans included those for South Street, Philadelphia; Washington Avenue, Miami Beach, Florida; and Downtown Memphis, Tennessee. Scott Brown has published more than 150 books and papers, including the seminal work Learning From Las Vegas (1972) and influential essay ‘Room at the Top? Sexism and the Star System in Architecture’ (1989). She has held professorships at the universities of Pennsylvania, Yale, Harvard and California at Berkley and Los Angeles, and has received 14 honorary doctorates. The American architecture critic Martin Filler has said that Scott Brown is "one of a very small number of contemporary architects who are guaranteed a place in history".